Posted August 29, 2014 by Kelly McEvitt . 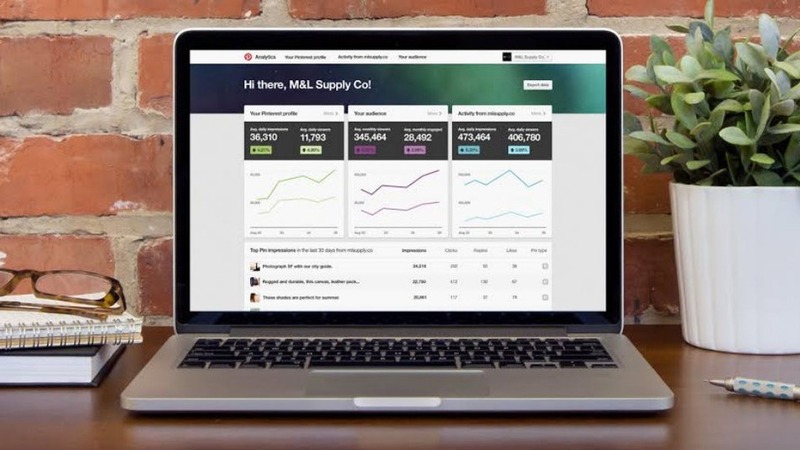 Pinterest, the bookmarking social network, announced Tuesday that a new robust analytics tool is now available to businesses. Within the new analytics dashboard you can now see number of users who engage with your pins, pins that generate the most impressions, user demographics, off-network data for social plugins and more. This is a major upgrade from their previous analytics tool that only provided data on web referral traffic to websites. Businesses now have the ability to figure out what is working for their brand and what isn’t. Brands will also have a better understanding of what their audience prefers. This new analytics tool, combined with the launch of Promoted Pins earlier this year, has some hinting that Pinterest will be the next social network to go public. As businesses start to gain insights, it’s likely more and more will adopt Promoted Pins in their strategy. To access this new (and free) analytics tool, login to your Pinterest account and you’ll be prompted to ‘Visit Analytics’ from the homepage. The navigation is broken out into Your Pinterest Profile, Your Audience and Activity from [Website]. You’ll quickly discover how easy it is to navigate the interface and discover important statistics. For help with your Pinterest account(s) or your other social networks contact us! You can also connect with us on Facebook, Twitter or Pinterest!